Monster Hunter: World's first DLC monster, Deviljho, will be joining the game for free in a substantial update for the smash hit title on March 22, Capcom announced in a livestream today. 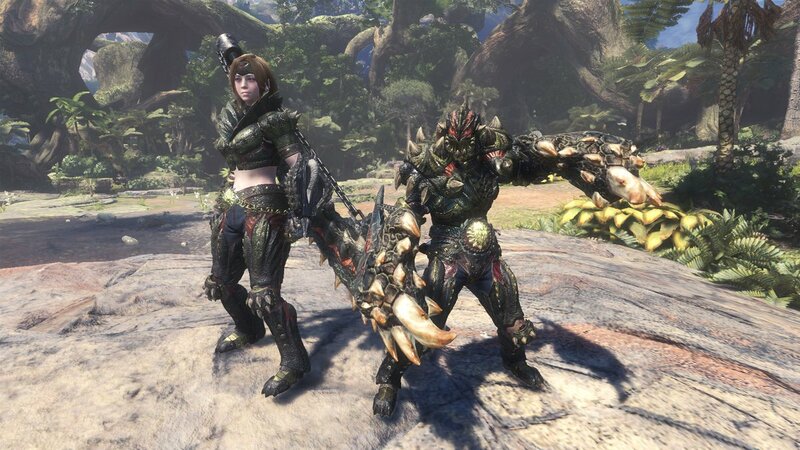 Deviljho and its corresponding armor sets and weapons are just one part of the update, which will bring a number of optimizations and improvements to the game. Features include faster loading times, a new "Return to Gathering Hub" option, and the removal of stuns by allies while carving after a mission completion. A number of game balance adjustments will be in the update, too, including damage buffs to the Great Sword, a number of tweaks to weapon classes across the board. But the fun doesn't stop with the March 22 update. Even more content is coming, starting with the Spring Blossom Fest event which will run from April 6 to 19. During this event, the gathering hall will be dressed up in flowers and fireworks and there will be two lucky vouchers available per day during the event. All event quests will be available during the festival. Also available on April 6 will be a community-created Great Sword called Wyvern Ignition. A week later, another Capcom crossover comes to the game with a Mega Man armor set for your Palico on April 13. The first piece of content to hit before all of the above is the ability to re-customize your character on March 16.